Next Sunday is my birthday. It appears that I will be sharing it with Mothers Day again too. Well, Mothers Day in South Africa and America at the very least. 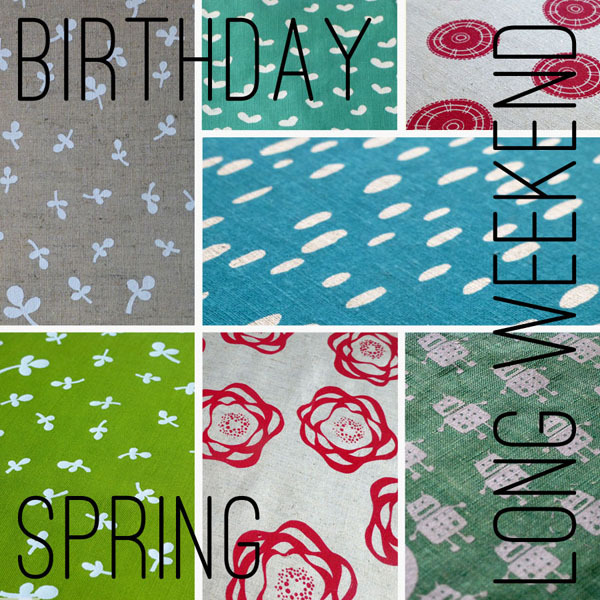 So, to celebrate the weather improving, long weekends and my birthday here is a little gift from me to you - 20% off in either of my shops with the code SUNNY20. The code is good until I remember to disable it on Monday 13 May. As always, if you see something you like in the tlf shop and there are no postage options for you, you have 2 options 1) drop me a note and I will fix it ASAP, or 2) purchase with postage as collection and I will sort postage out with you via Paypal afterwards. Wherever you are....have a fantastic day!